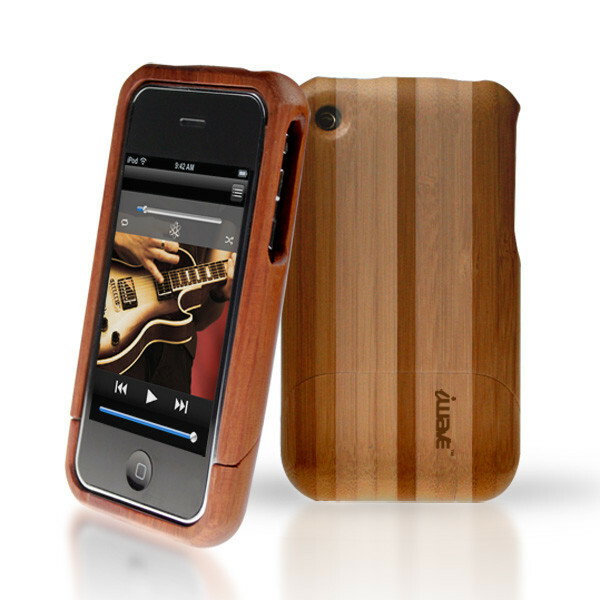 I saw this case today and I had been looking for a bamboo case for quite a long time. I picked it up and once I got home, I examined it. First, I noticed the box looked really similar to the incase slider box same back and front cover. I then read it and it said it was scratch resistant which was good. So, I decided to take it out and try to put it in my iPhone. When I took it out, the case was so thick, there was no protection at the bottom but it was quite heavy. It has great interior protection as the inside was lined with more than in inch in width and the whole body length of protection. I slid it on, and it didn’t mess up my screen protector this time and it covers the chrome just barely. I had trouble putting on the bottom since I didn’t want to scratch my phone, I pushed it in since there was protective railing and the phone was quite bulky. The bamboo seems to hold up very good. I decided the phone was too bulky and decided to take it off. Just like the Skull Candy case, the bottom was stuck and eventually I got it out. Then the top slider part was stuck, I tried my other method and it didn’t work since the case was thick. When trying to remove the top I noticed that the bottom left brown marks on my white iPhone. I guess it’s the paint on the bamboo. I don’t recommend this case if you have a white iPhone as the color might rub off and it takes a while to get off. Then I tried to remove the top, since it was so thick it took me ten minutes just to remove it. Overall this case is alright.